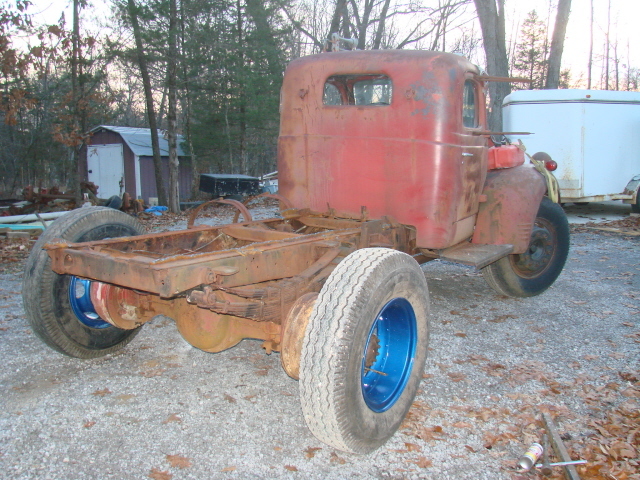 I have started work on the truck. Progress follows. Here's a before and after in one picture of a hood side. 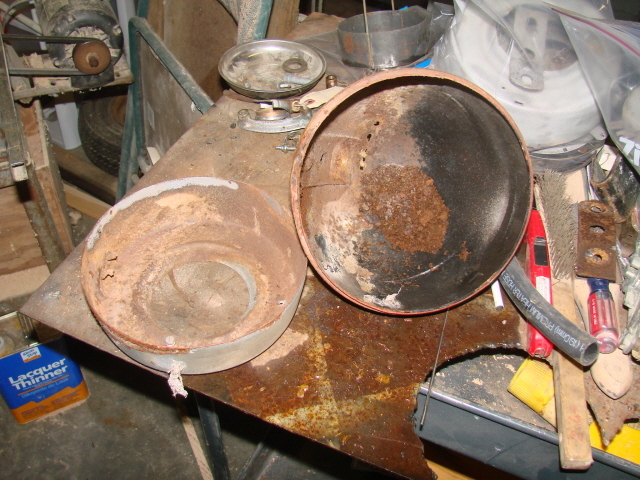 Sandblasting will remove a lot of junk. And, this is a top half before it went into the blaster. 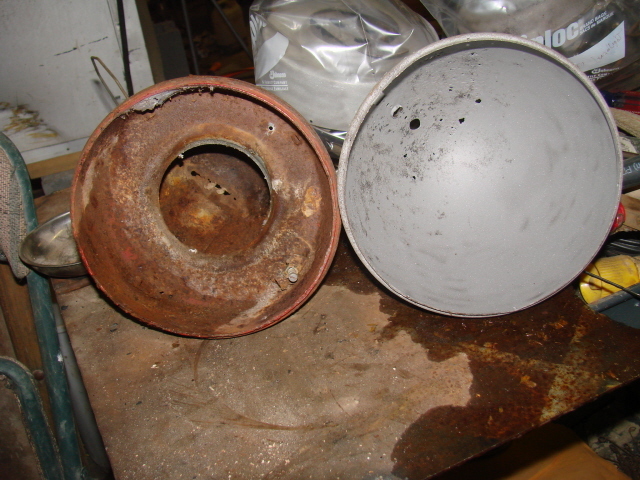 The discoloring is where the JB Blaster I used to get the hinge pin out has soaked out on the side. 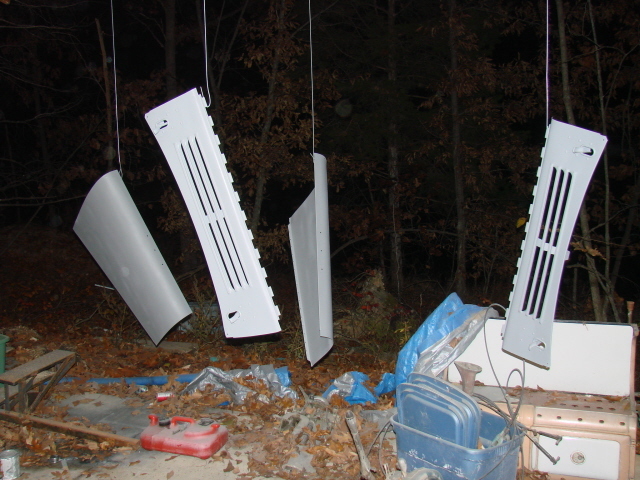 And here are hood parts. 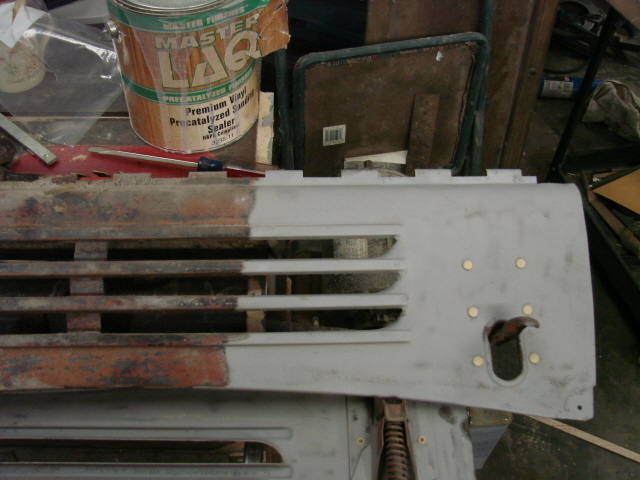 Sandblasted, primed with 2 part epoxy, then several layers of polyester filler-type primer. 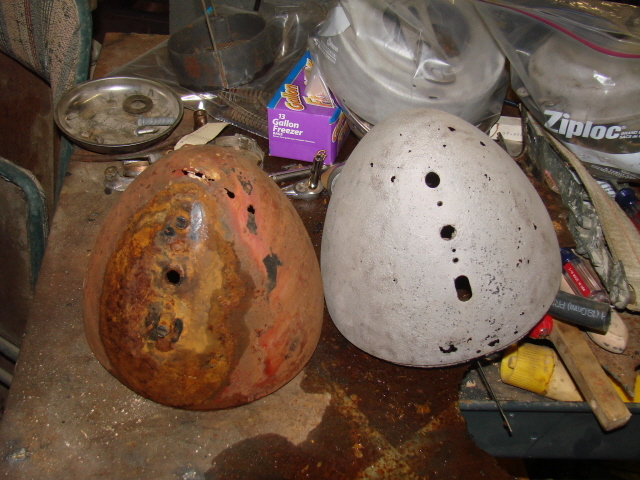 Hopefully, block sanding will leave no rust pockets. If it does, more layers will be needed. OK, two wheels have been sandblasted and painted. 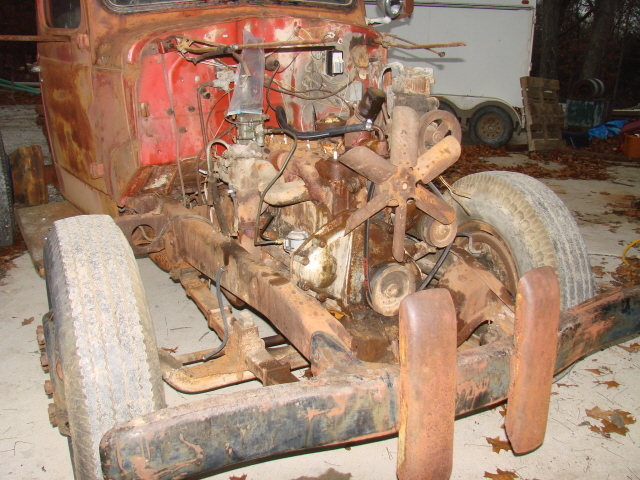 It required a sawsall to get most of the tires off, and a hand grinder to cut the beads off. Winch has gone back to the seller. Thanksgiving day it went for it's first drive in over 35 years. Brakes were only the emergency brake, but it worked well. Motor is running quite well. No smoke, no strange noises. Notice the new gas tank! Hood parts are still in the shop and probably will stay there for some time. 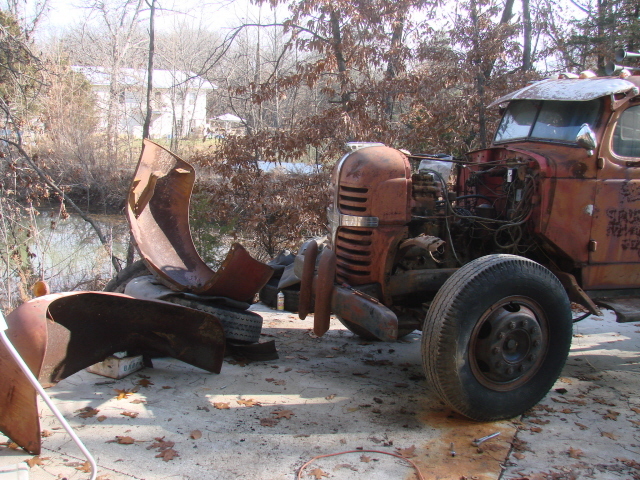 The saddle tank is in great shape, but is off for a much needed cleaning. 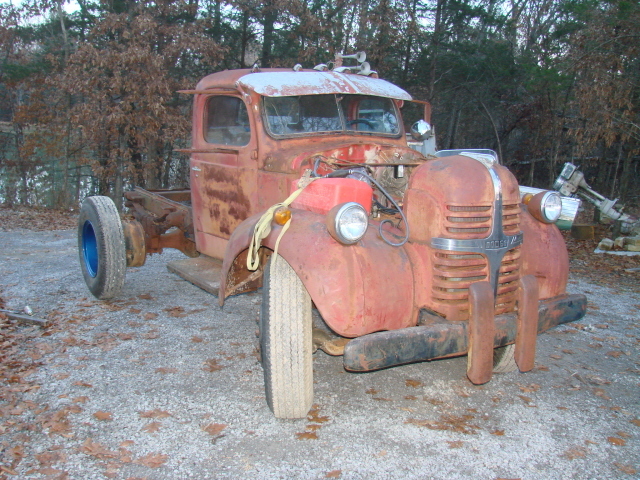 Another view of the big flathead six. 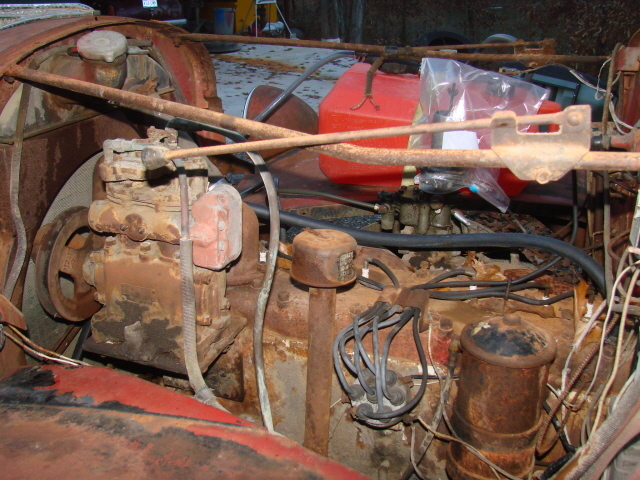 I had to change the spark plugs - the old ones were nearly rusted away. 2 twisted off, leaving the bases in the head. It took a shortened eazy out to get them out. 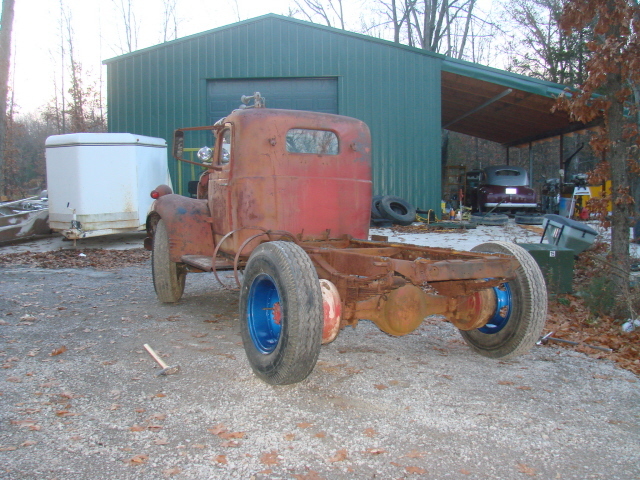 If I can just get my 47 ford together, I'll get it out of the shop and the big guy in to work while it's cold. Pretty obvious it's coming apart. 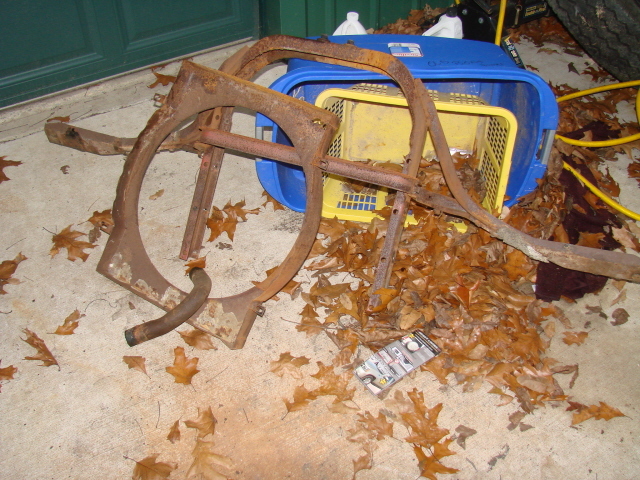 One headlight bucket is disassembled and sandblasted, the other is next. Kind of a before and after look at the inside. 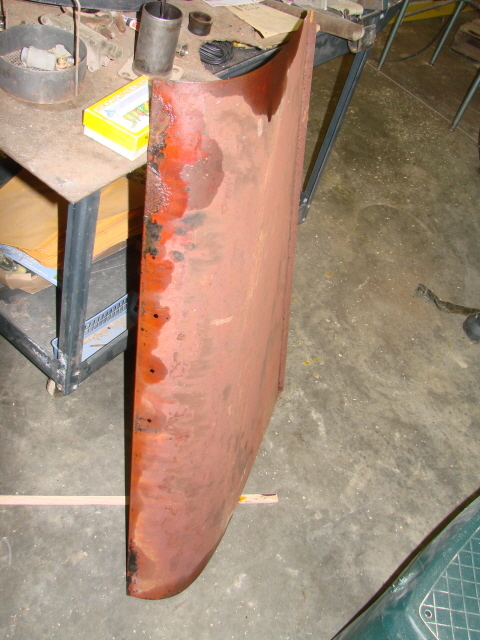 Rivets are drilled out and the inside is removed. 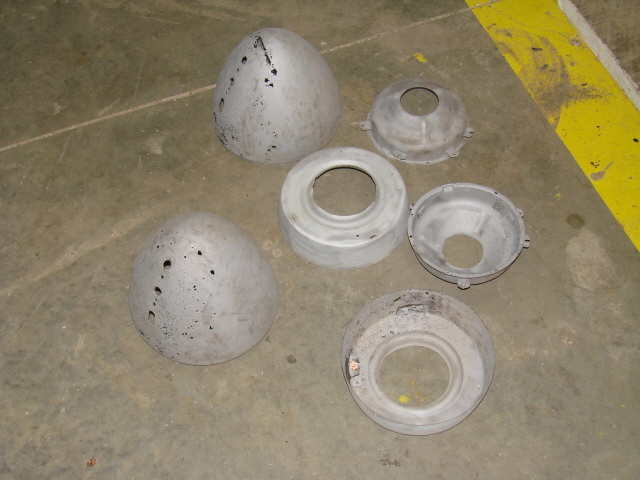 All are sandblasted, the inner parts are ready for paint, the buckets themselves need some repairs. This is the fan shroud, front framework that holds the front sheet metal, radiator and fenders, and the metal coolant pipe from the bottom. The radiator is in the radiator shop for a checkout and cleaning. 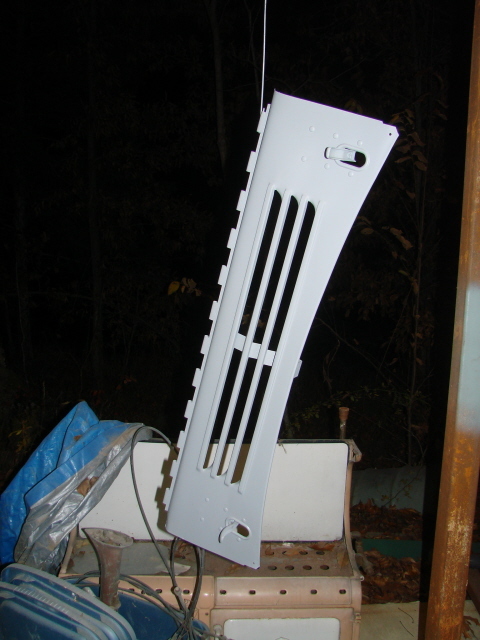 By the time I got this posted the fan shroud was sandblasted and primed. Took about 2 hours for that part. 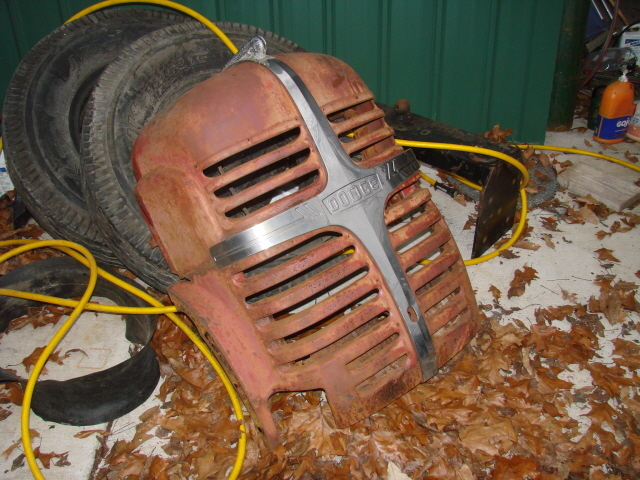 And here we have the front sheet metal, which I suppose could be called the grill, ready for disassembly and sandblasting. 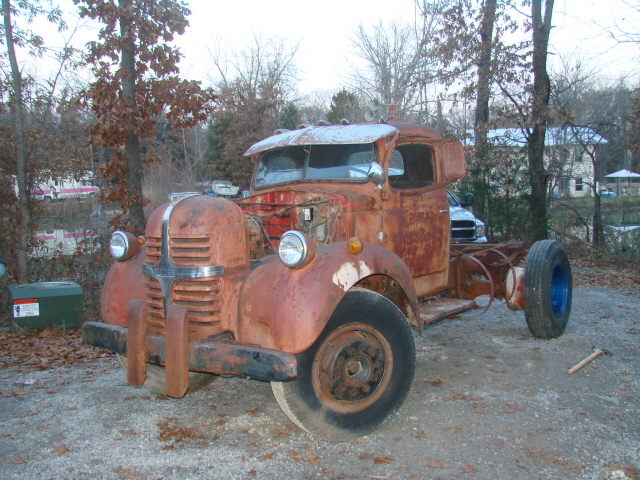 And, here is a big truck with it's motor quite exposed. It moves in out of the snow on page 3.